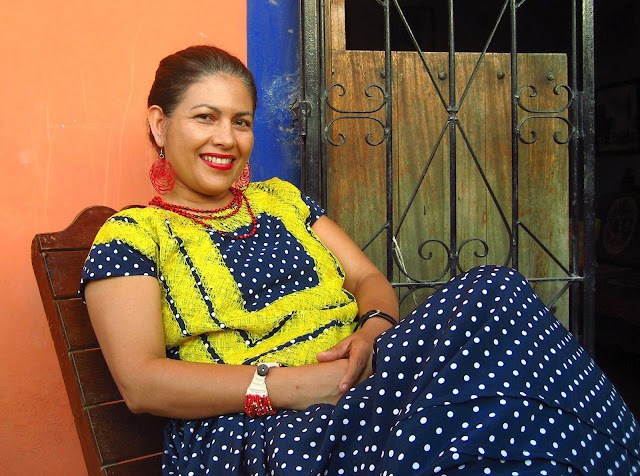 From WHRDIC member ISHR: After four years of a flawed judicial process, ISHR welcomes that the District Court in the State of Oaxaca in Mexico has ruled to acquit Lucila Bettina Cruz Velazquez of charges made against her. The charges relate to acts or omissions gravely affecting the ‘national consumption and national wealth’, and with illegally detaining individuals. They were brought in February 2012, but refer to incidents allegedly having occurred during a peaceful protest in April 2011. Bettina Cruz Velazquez, a member of the Assembly of Istmo of Tehuantepec Indigenous Peoples in Defence of Land and Territory as well as the National Network of Women Human Rights Defenders in Mexico, has been working on behalf of her community to counter the impact of private companies which are establishing and operating wind farms in lands traditionally owned by indigenous communities in Tehuantepec. The projects were reportedly initiated without the free, prior and informed consent of the peoples native to the area. ‘Bettina Cruz Velazquez has faced intense security risks since February 2012 and has been subject to a long process of judicial harassment based on unfounded and baseless charges put forward by the Federal Electricity Commission’ said Ms Pooja Patel of ISHR. The International Civil Society Mission to Mexico in November 2014 received many reports on the criminalisation of the work of human rights defenders and pointed specifically to vaguely defined legal provisions applied arbitrarily, such as the very charges faced by Bettina Cruz Velazquez. ‘Such judicial harassment amounts to stigmatisation of human rights work and opens the door for further acts of intimidation and harassment against them. Furthermore, the charges themselves aim at paralysing the work of Bettina and other defenders due to the time, resources and efforts required to face them’ said Ms Eleanor Openshaw, who represented ISHR at the Mission. The case of Bettina Cruz Velazquez is considered emblematic as a number of other human rights defenders face similar patterns of judicial harassment in Mexico. ‘While her acquittal sends an important positive message that the rule of law has ultimately been upheld, it is time for the Mexican State to guarantee due process for all other human rights defenders facing apparently arbitrary charges, and take steps to prevent the criminalisation of activists’ stressed Ms Patel.